Kontrollis is a cloud based production controlling system for the apparel industry, mainly for garment and footwear manufacturers, but it is suitable also for any other company with mass production and a well defined manufacturing process. 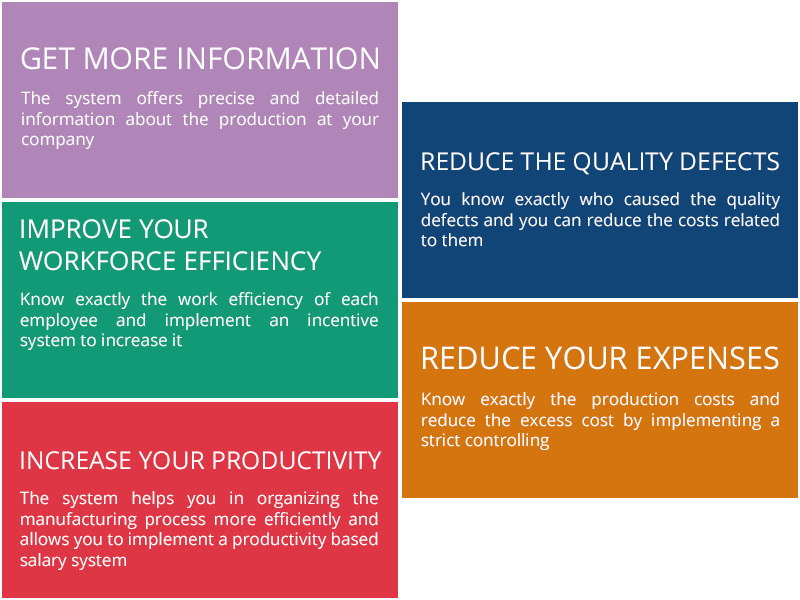 With our production management software you will be able to improve the profitability of your company by reducing the production costs and increasing the efficiency of your workforce. Our main objective is to offer to the small and medium sized enterprises business IT systems that up until now were available only for corporations. We have a great experience in this field. Our systems have monitored millions of operations and helped our customers saving hundreds of thousands of dollars.